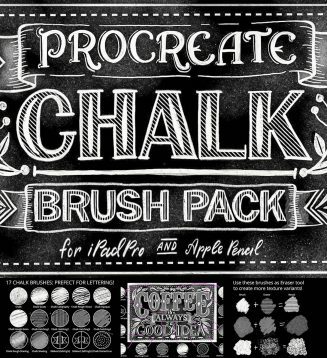 Create chalk lettering illustrations with these brushes in procreate app (for iPadPro) is very easy and fun! In this Brush Pack you will find 17 Brushes – chalks with different textures, “calligraphy” chalk brush – perfect for writing and small details, shading brushes (smooth and with dusty particles), hitching brushes – to create beautiful hitch areas just in one stroke, stamp ribbon brushes with which you can easily create ribbons on any length in seconds (just stamp left and right end and connect it with Chalk calligraphy brush). You can use some brushes as an Eraser tool and get even more textures and hitching effects! 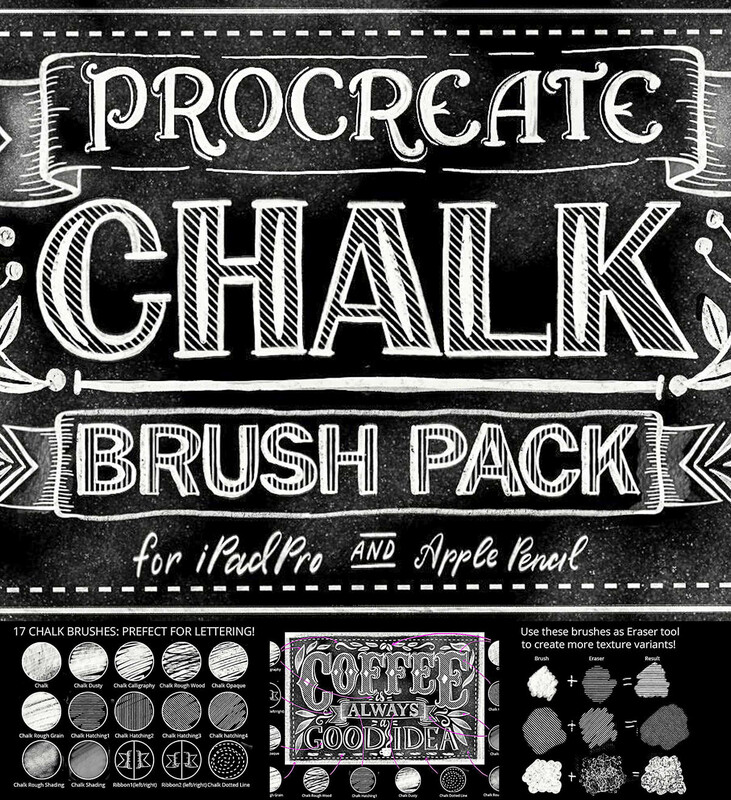 Tags: app, brush, calligraphy, chalk, hand drawn, iPad, lettering. How do I go about downloading these brushes?